Are you getting a messy mental picture yet? It's a Hairball. A Business Hairball! One business with multiple systems. It's nobody's fault really. This is what most organizational leaders have inherited as their legacy system or have contributed to building as the path of least resistance with the evolving technology landscape and the needs of a growing business. So, kudos to them for trying to keep up. What amazes me is that very few question the status quo. Isn't there a better way? The Hairball contributes towards huge ongoing IT Infrastructure costs, inefficiency in business practices due to double entry and most importantly siloed business practices or rather departmental practices. By now all of us have heard of interesting words like Synergy, team work, collaboration and we know it's the good stuff for an organization. Well, the hairball really doesn't help. I talk about this to my customers and I see most of them nodding because this hits home. Of course it does! Having multiple systems means organizations spend valuable resources on integration, costly developments, etc all in an effort to make systems talk to each other and for what… just to get some kind of coherent data (not information mind you). This information is usually a snapshot of the past and usually simply for statutory compliance. Lets circle back. What were the reasons your company invested in an IT system in the first place? Was one of reasons the need for timely information to allow for management to make important strategic decisions? How does the hairball help? Was one of the reasons "to decrease inefficient business practices? "… Does the hair ball solve this? Did you want a complete view of your business in real time? Does the hairball accomplish that? Did you want to reduce costs?…. You see where I am going with this right? Deep down every business leader knows that if he/she had one system to manage their business, they would get the benefits they actually started out to achieve in the first place. Most folks know that there are such systems out there. The impression however, is that these systems are much too expensive. There is actually good news here. 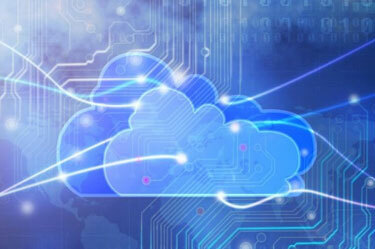 With Cloud technology these systems are now available to all sizes of businesses. Imagine… if such a system was available and that too on the cloud!!!!!! No IT infrastructure costs and headaches to maintain all that hardware. Yes it is possible. All you have to do is explore. Here's a tip, try this and see what comes up. Do a Google search for "Cloud ERP". It's that simple. You should get at least 4 options for various companies that offer such a product on the first page (Or click here). The Cloud is actually the accepted norm of IT architecture in this century. Organizations that have made the switch to the cloud are seeing massive benefits. Forget costs, they are able to concentrate on doing what they do best, their business! What's more, I.T. takes its rightful place as just a very useful tool that enables one's business and doesn't need maintenance or management… it just works! The information contained above is a matter of opinion. The blogger does not represent or endorse the accuracy or reliability of any information's, content or advertisements contained on, distributed through, or linked, downloaded or accessed from any of the services contained on this website, nor the quality of any products, information's or any other material displayed, purchased, or obtained by you as a result of an advertisement or any other information's or offer in or in connection with the services herein. Inspirria Group is a Technology Advisory and Consulting company with focus on Cloud & Mobility respectively through Inspirria Cloudtech and Veloziti entities. Inspirria Cloudtech part of Inspirria Group is a specialized Cloud Technology services company, providing leading edge Cloud solutions to global business around the world. With more than 450+ successful Cloud implementations experience our professionals bring unrivaled rich 10 years plus experience in Cloud execution models through strategy, implementation & consulting capabilities having worked across Industry verticals across the globe. It has been recognized as a Cloud Champion and a Premier 100 company by IDG Group. It has also been named as the Top 10 promising Cloud companies to watch by a leading global publishing house. Inspirria Cloudtech is associated as premier partners with leading Cloud product companies like NetSuite, Silkroad, Workforce Software, Google, Box and Docusign making the firm one of the world's leading Cloud Aggregators. Inspirria Cloudtech is headquartered in Pune, India with regional offices throughout India and operations in Dubai, UAE & North Carolina, USA. For more details please visit www.inspirria.com.